Reliable Controls is pleased to announce the release of RC-Reporter®, a web-based application that lets users efficiently sift through their large volumes of archived building data or imported CSV files, and quickly tag relevant points for analysis and report generation. Filtered and categorized data is then linked to a variety of modular report components, which produce line, bar, and pie charts, and profile, correlation and exception graphs. The components are then dragged and dropped into a report layout, and embellished with text, images, background, and borders to produce a professional looking document. Standard and advanced querying allows for deeper analysis when needed. Automated report distribution allows users to share their reports through email with attached PDFs or embedded links. 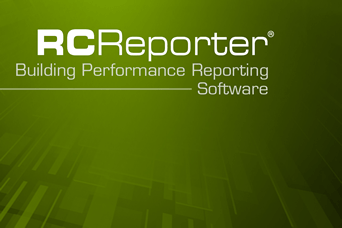 Using the latest in web technologies, RC-Reporter is designed to operate optimally using any standard browser. Developed for both mobile devices and workstations alike, complete functionality is accessible from a PC, Mac, or smart phone device. RC-Reporter delivers a simple, flexible, and sustainable web-based solution that provides facility operators with the intelligence they need to clarify their building performance and to quickly make informed operational decisions to improve the triple bottom line.